Wallnuts are a long established favourite across the world. 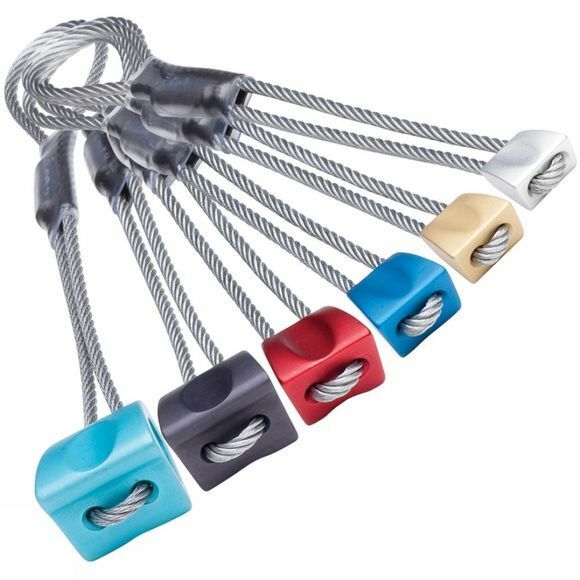 This classic wired nut has a carefully designed shape that gives you the best possible chance of getting a good solid placement every time. A set of Wallnuts, usually with double ups in the small to medium sizes, is the basis of a good quality rack. Think of it as the platform upon which you can build your own personalised system. Modern production techniques have allowed DMM to make huge reductions in their weight, without sacrificing strength or durability. The tried and tested Wallnut shape has been enhanced by adding a scoop to improve security in shallow placements. They are also colour coded them to make size selection easier.